By 2018, the number of organizations using disaster recovery as a service (DRaaS) will exceed the number of organizations using traditional, syndicated recovery services. By 2018, 20% of enterprises with a minimum of 5,000 employees will be failing over the operation of one or more production applications to DRaaS, infrastructure as a service (IaaS) or cloud-enabled managed hosting. Gartner’s research focused on enterprise businesses, however, we’re seeing substantial interest among small and midsized businesses (SMBs) too. Organizations of all sizes want the benefits of a managed service like DRaaS to ease staffing concerns, cut capital expenditures and address rising regulatory compliance pressures while making sure their corporate data and applications are protected and available to their users. With such a strong focus on DRaaS, it’s also not surprising that the number of vendors to choose from is increasing. Gartner estimates there are currently more than 250 DRaaS service providers in the market including hyperscalers, such as Microsoft and AWS, as well as managed service providers like TierPoint. That’s a lot of choices. Graphics such as the one to the right* are included to show the leading options in each category. 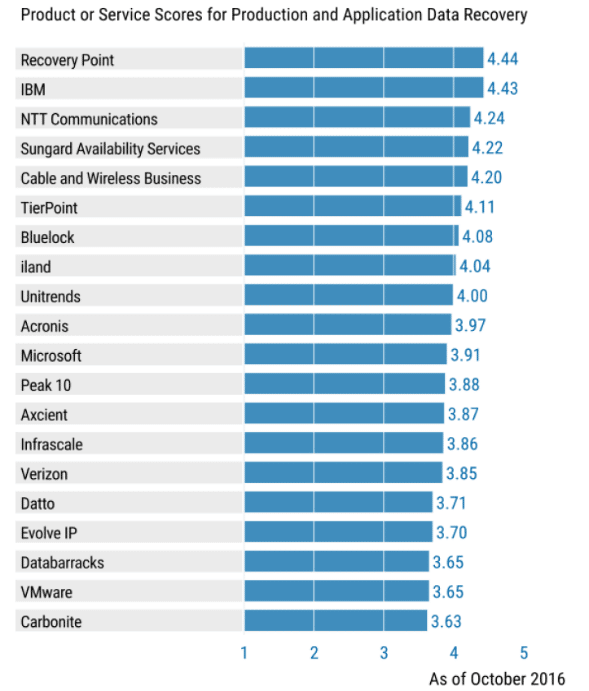 Gartner also provides a write-up on the providers that adds a little more color to your choices. Just as we took a giant leap in Gartner’s 2016 DRaaS Magic Quadrant (see related blog post: De-Risking Your DR) the critical capabilities report highlights our DRaaS offering. Our commitment to improvement includes substantial R&D investments to bring even more software-defined capabilities to DRaaS, including a new resiliency platform. And our team of dedicated technologists aim to provide the best customer service experience for all of our clients, making sure that our solutions complement their strategic business objectives. * This graphic was published by Gartner, Inc. as part of a larger research document and should be evaluated in the context of the entire document. The Gartner document is available upon request from TierPoint. Shea Long is SVP of Products at TierPoint. 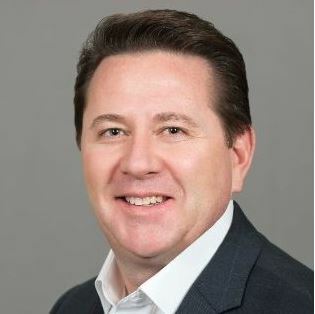 He brings more than 20 years of Product experience to TierPoint and leads the strategic vision, development, revenue growth, and life cycle management of Cloud, Managed Services, Security, Disaster Recovery and Colocation services. Shea’s passion drives the creation of products that inspire and connect businesses, people and technologies while improving performance and creating opportunity.